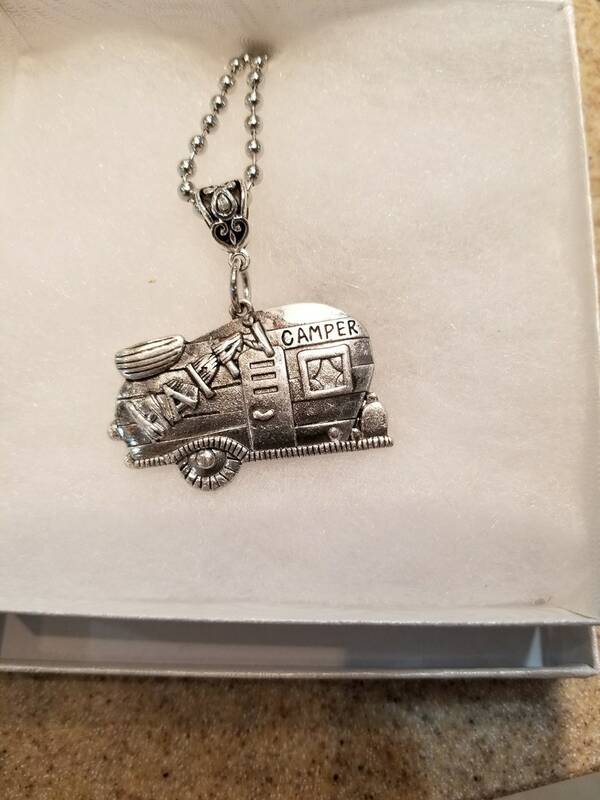 Camping necklace, Happy camper embossed on vintage looking camper in silver. An 18" ball chain makes for a perfect pendant to wear on your camp weekend outing. Ideal for that glamping girl in your life. Measures approx 1 3/4" x 1" with 4mm 18" chain.